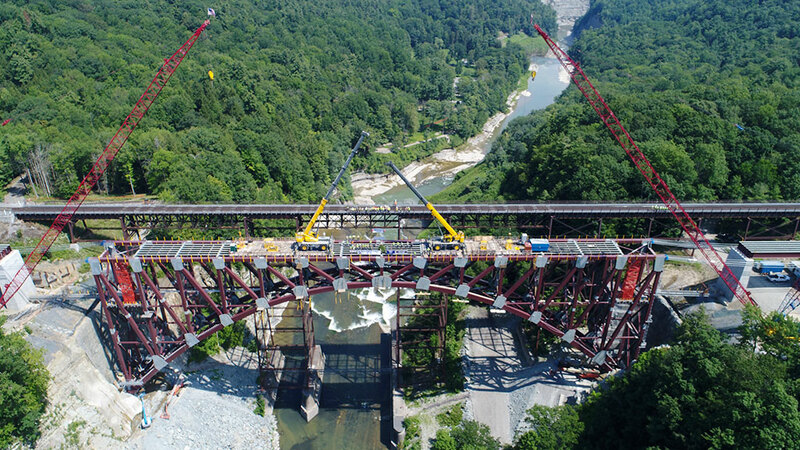 The Portageville Railway Bridge, a project on which Canam-Bridges collaborated, received the 2017-2018 Outstanding Long Span Bridge Award from the Association for Bridge Construction and Design – Susquehanna Chapter (ABCD). 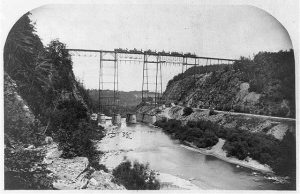 Built in 1875 and spanning over the Genesee River in Portageville, New York, this old bridge no longer met the standards, making the rail traffic unsafe. The first piece fabricated by Canam weighed 93,500 pounds, measured 53 feet, 6 inches (16 metres) in length and, with the shop-bolted gusset plates, the height of the piece reached 11 feet, 4 inches (3.5 metres). First piece fabricated by Canam. The bridge was reopened to rail traffic in December 2017.